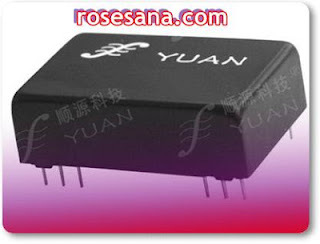 DC to DC converter IC from 12VDC to 12VDC input voltage with the ability to pass the output current of 420mA. IC DC-DC conveter has been labeled isolated input to output isolation voltage up to 1500VDC. Input voltage: 12VDC (range 9-18 VDC). Conversion method: Switching 250K Hz. It has been equipped with short circuit protection.